Robert Corbett Brickey was born 25 Aug 1907 in Ft. Blackmore, Scott Co., VA, and died 07 Mar 1961 in Miami, Dade Co., FL. He was the son of John Floyd Brickey and Martha Melinda Kerns. Margaret Eva Larkey was born 21 Jan 1915 in Sullivan Co., TN, and died 01 Aug 1976 in Miami, Dade Co.,FL. She was the daughter of John Hickam Larkey and Hannah May Susan Dunn. 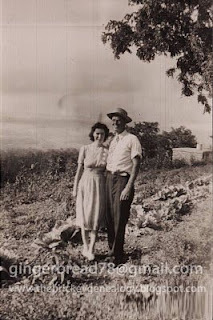 Corbett and Larkey were married on 29 Jun 1941 in Sullivan Co., TN. They are buried in Woodlawn Cemetery in Miami, FL.